My goal is to get a recent photo in this gallery everyday, or as nearly as possible, as time permits. We'll see how it goes...thanks for stopping by! 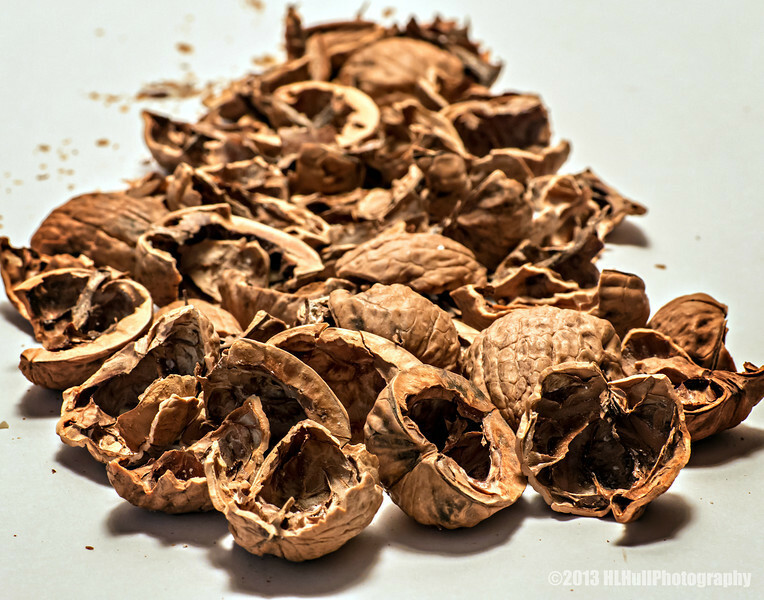 "W" is for Walnuts...shells, that is! I thought it made for a fun shot! Thanks for your kind comments, much appreciated! Fantastic comp, great use of dof! Great textures, details and idea! Fun to see the aftermath! Nice shot of the walnut shells. My favorite nut is pistachio!